President Obama considered Afghanistan the smart war and Iraq a dumb war with smart bombs. 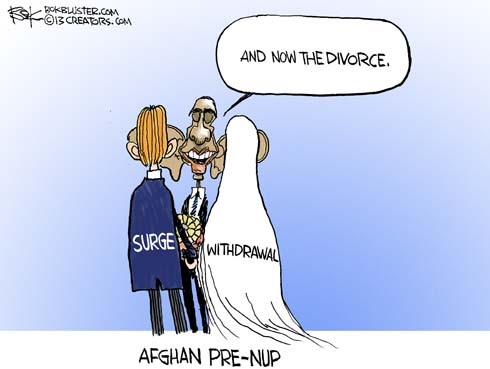 In 2009 he joined together a surge of 30,000 troops in Afghanistan and a plan for withdrawal. The surge got the boot with a drawdown in 2011. Obama claimed the killing of Osama bin Laden had put al Qaeda on a path to defeat and that the tide of war was receding. Terrorists in Boston, London, Nigeria, Libya, and Syria missed that speech. Now he’s threatening Hamid Karzai with a “zero option” which would mean the total withdrawal of U.S. troops – same as Iraq. 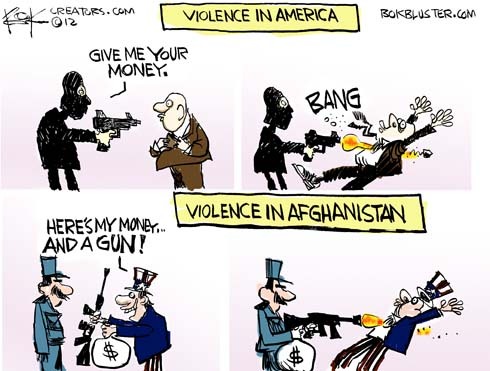 American troops presented a weapon to an Afghan police recruit, who promptly used it to kill two of them. 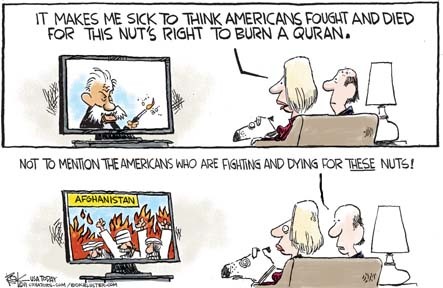 Afghans almost seem more upset over Quran burnings than civilian murders. Maybe that’s because they’re more accustomed to the latter. 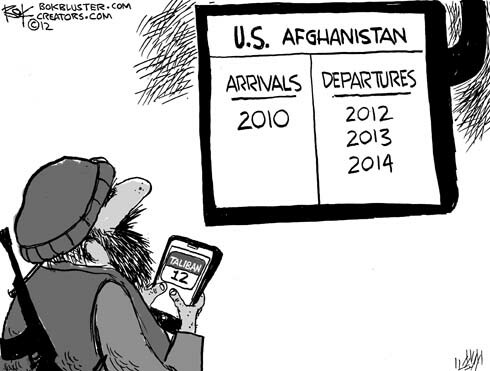 At any rate, Karzai is at the end of his rope. It’s not hard to see why. 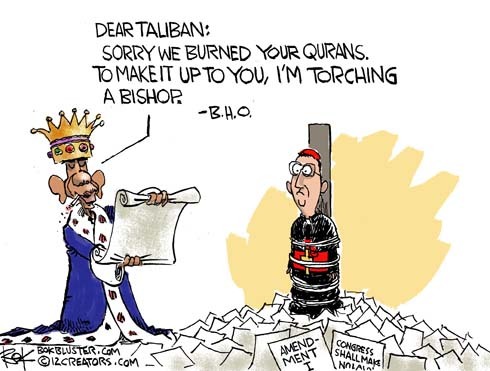 The president has apologized for abusing religious freedom… in Afghanistan. The groveling only seems to beget more violence. Maybe that’s why he doesn’t back down when it comes to Catholics. Islamic fanatics used the Danish Cartoon Crisis as a means of intimidation. They’re at it again with the Quran Crisis. Hope pastor Jones can’t draw Muhammad cartoons.